As a lasting tribute to her vision of an inclusive community, passion for client-centric growth, development and opportunity, and organizational and sector leadership through 11 years as the Chief Executive Officer of Chrysalis, on March 23, 2017 the Lynn Groves Hautmann Chrysalis Endowment Fund was announced. The Chrysalis Charitable Foundation Board is pleased to introduce this fund within the suite of options available to Chrysalis donors. Distinct from giving options supporting immediate program needs, through time this endowment will become a sustainable source of revenue for Chrysalis. For details of Lynn’s endowment and donation options please visit the page for the Lynn Groves Hautmann Chrysalis Endowment Fund. 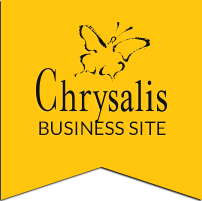 To discuss how you might support Chrysalis in your will through an estate gift please contact Jerome Babyn, President and CEO, 780.454.9656 or [email protected]. PreviousPrevious post:Podcasts About ChrysalisNextNext post:Make A Difference On June 8th!